Going above and beyond all expectations, No. 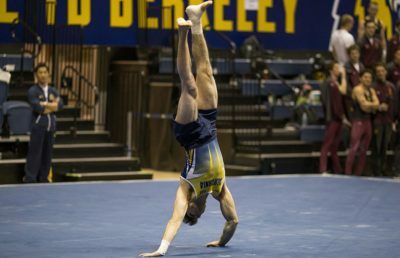 12 Cal men’s gymnastics not only finally notched a win, but did so with some of their best scores of the year to wrap up their regular season. Cal snatched first place in a tri-meet against No. 14 Arizona State and No. 17 Washington with a season-high team score of 399.100. This major success so late in the season was aided by a return to Haas Pavilion after two months competing in opposing gyms and the potent spirit of a home crowd that celebrated four departing Bears on Senior Night. Of all the seniors, it was Yordan Aleksandrov who really stole the show. In the all-around competition, the Bulgaria native came in second with a season-high score of 81.400. 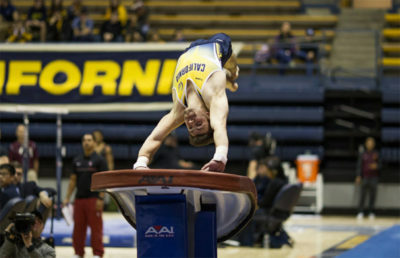 This achievement was aided by more season-high scores on the high bar (14.300) and parallel bars (14.400). 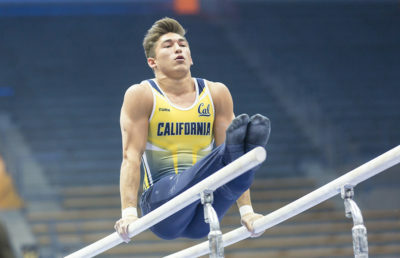 In support of the team effort, redshirt junior Mitchell Awisus and sophomore Jonathan Wang earned 13.800 and 13.450, respectively, on the parallel bars — also their highest of the season. The tournament may have been about celebrating the seniors, but it was junior Aaron Mah who helped ensure the Bears got the win. Mah earned his third meet title of the season with an outstanding all-around score of 81.700, his best of the season. A huge part of that accomplishment was recording a season best of 14.500 in the floor. This event was a success for the entire team, as it earned a season best of 69.250 as a collective. As the first event of the meet, this triumph set the tone for the rest of the night, and the Bears could not be stopped by their inferior rivals. Setting so many season highs this late in the regular season is reason enough for excitement, with the start of postseason competition just around the corner. 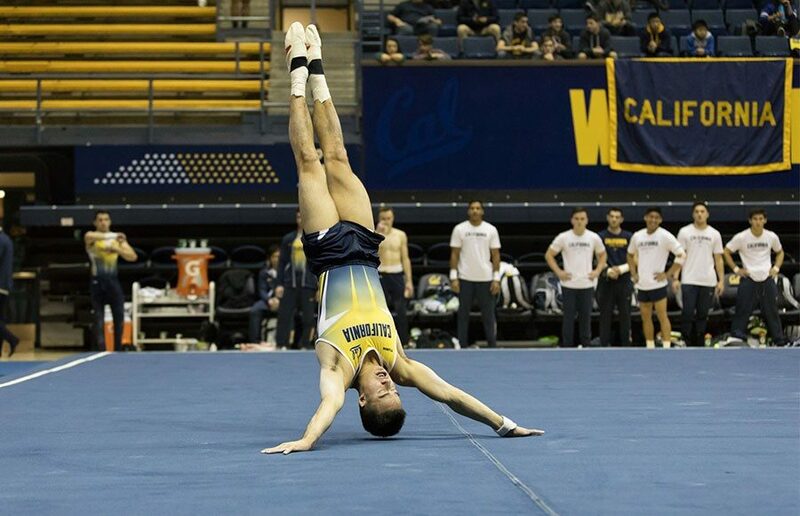 Cal’s newfound strength will be tested April 7 at the MPSF Conference Championship in Colorado Springs, Colorado, where Cal will face No. 1 Oklahoma, No. 4 Stanford and No. 11 Air Force.